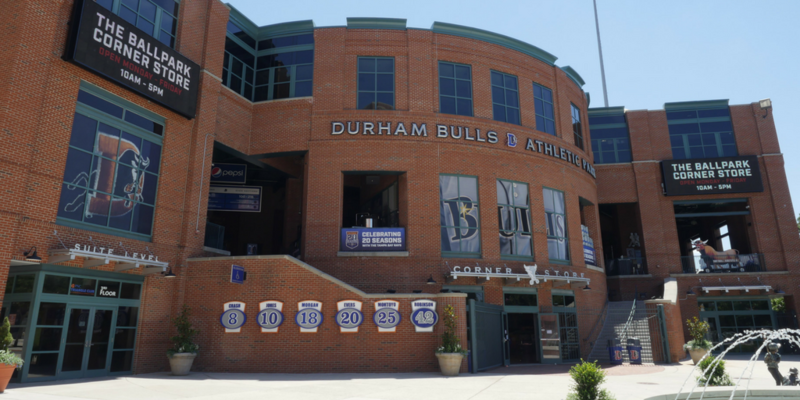 Getting to the Durham Bulls Athletic Park from any point in Durham is easy because the ballpark is located a short walk from the Durham Station, the hub for buses in Durham. Visit godurhamtransit.org/maps-and-schedules to map your route. GoDurham Maps and Schedules — Locate maps, schedules and more. Our bus drivers accept cash, and will give you a change card if you don't have exact change. You can buy a pass ahead of time online or at Durham Station, Raleigh Station or the Regional Transit Center. GoTriangle buses are FREE for children under age 5, and seniors age 65 and older get a discount.